Over 45 Flexible Templates - Choose from almost fifty ready-to-use looks, then customize common settings like dimensions, background color, autoplay and randomization. Need a custom configuration? We can create custom templates, starting at only $50. Lightweight - Adds less than 40K to your page. 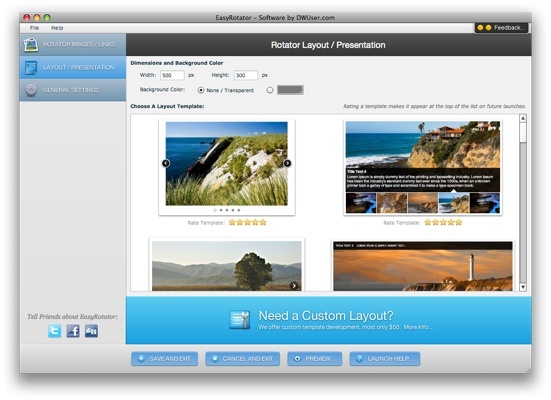 Responsive - Set an aspect ratio and watch your rotator automatically resize. Easy to Use - We understand - you need a rotator, and you need it fast. Download now and see just how easy EasyRotator is. Free - Oh, yeah... and it's 100% free to top it all off. Mac and Windows. Version 1.0.199. 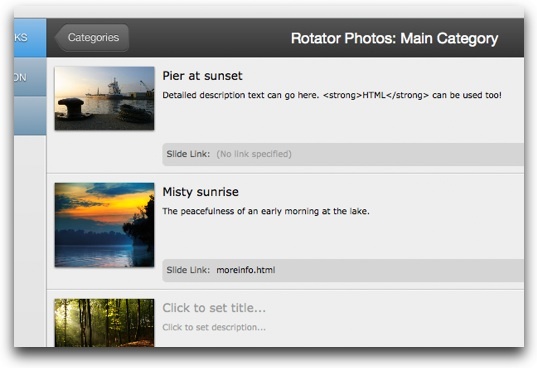 EasyRotator for WordPress is now available. WordPress sliders needn't be difficult or time-consuming – add beautiful EasyRotator rotators and sliders to your WordPress site in seconds! 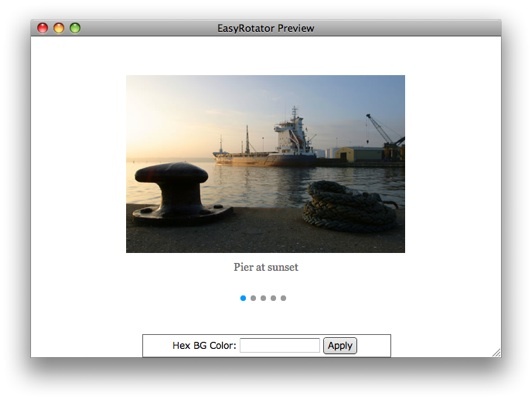 Here are a couple of quick demos of what you can create with EasyRotator. But you have to use EasyRotator to get the full picture! 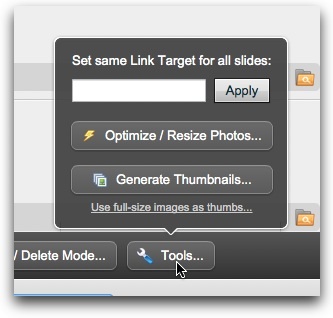 The wizard has an easy-to-use interface for visually managing photos. Photos can be organized in multiple categories for some templates. Easily add titles, descriptions and links. View is customizable, so you can hide unneeded options. 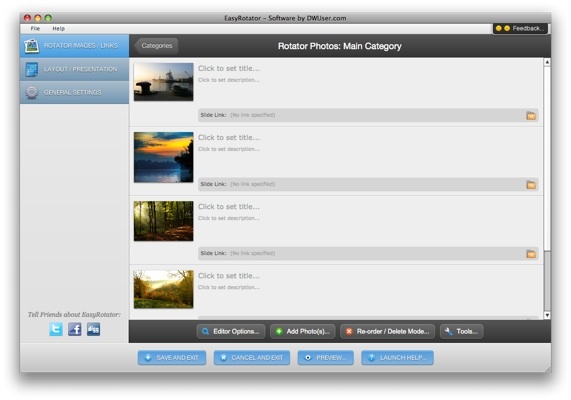 The photo manager includes a built-in photo resizer/optimizer and thumbnail generator. The built-in preview window lets you preview your work as you make changes. Customize dimensions and background color, then select from almost two dozen built-in templates. Visit the Support Center for comprehensive usage assistance options, including instructions for installation and usage. Do you need a custom template? Send us your PSD or an example URL and we'll send a quote. Custom designs start at only $50. To get started, open a support ticket below. Mac - OSX 10.4 or higher with Intel CPU. PPC not supported. No external software is required.